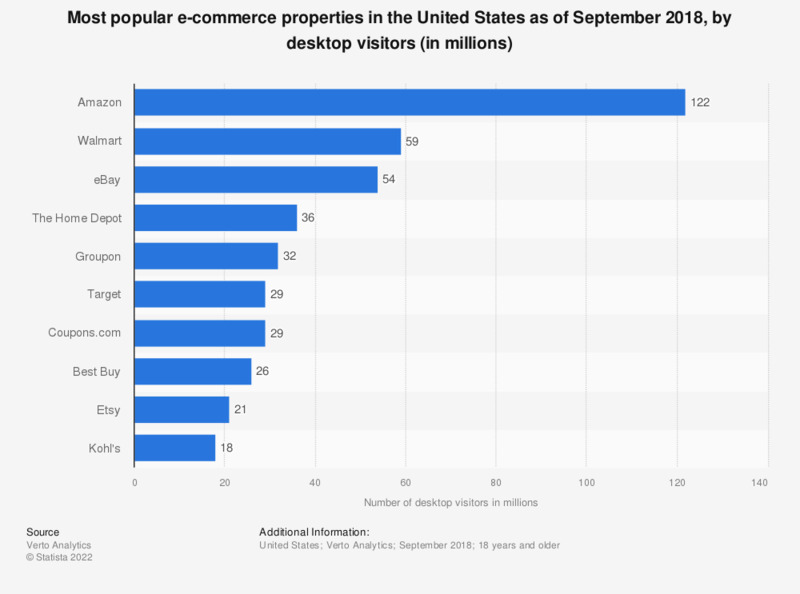 This figures presents the most popular e-commerce properties in the United States as of September 2018, sorted by number of desktop visitors. That month, Amazon generated 122 million visits via PCs. Walmart was ranked second with an U.S. desktop audience of 59 million. Which is your favorite website on the internet?